If you're buying a top-of-the-line four-cylinder Malibu LTZ, you might want to hold out for a few months. General Motors is phasing in the more economical six-speed automatic with the four-cylinder on the LTZ, and they won't start arriving to dealerships until later in the model year. After years of being a second-stage alternative, the Malibu is a legitimate contender for best-in-class. 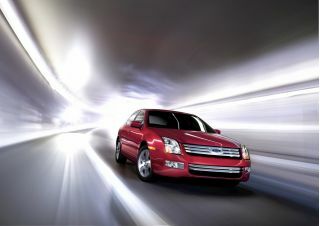 To put together this comprehensive review on the new 2008 Chevrolet Malibu, the car pros at TheCarConnection.com read a wide range of review information. 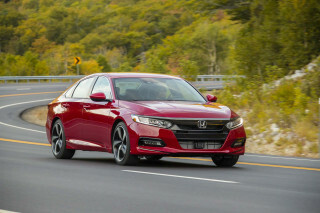 TheCarConnection.com’s editors have also driven the 2008 Chevrolet Malibu and have added their own firsthand experience to produce this conclusive review. The mid-size Chevrolet Malibu sedan has been completely redesigned for 2008. New proportions and very handsome, attractive styling inside and out give the 2008 Chevrolet Malibu a more upscale appearance, while a newly available 252-horsepower, 3.6-liter V-6 and six-speed automatic--optional on the top LTZ model--brings newfound refinement. The more popular engine choice for the 2008 Chevrolet Malibu lineup is the economical 169-hp, 2.4-liter four-cylinder engine, which is rated at a frugal 22 mpg city, 30 mpg highway and comes only with a smooth-shifting four-speed automatic transmission. 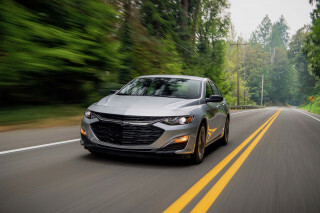 Performance is good enough with the four-cylinder, but if you plan to haul full loads or take on mountain passes, you may be wishing for the V-6, which is very responsive and much more refined than the V-6 in the previous Malibu. The 2008 Chevrolet Malibu has a very smooth, well-controlled ride and handles securely, though without much performance flair. If equipped with the four-cylinder engine, the Malibu has a fuel-saving electric power steering system, but V-6 versions come with a hydraulic power steering that gives a bit more road feel. The cabin is very well designed, with an attractive instrument panel and materials that are pleasing to the touch. Front seats were among the most comfortable in the mid-size sedan class, and the backseat is quite roomy. Three models grace the 2008 Chevrolet Malibu lineup: the base LS, midrange LT, and luxury-laden LTZ. The LS includes power accessories, keyless entry, and steering-wheel-mounted audio controls, while LTZ models get plenty of noteworthy features such as remote start, automatic climate control, a universal remote, and power-adjustable pedals, plus a number of appearance extras like LED taillamps and interior ambient lighting. An integrated Bluetooth hands-free calling interface isn't offered; there's no screen-based satellite navigation system available, either. But OnStar turn-by-turn navigation is included in addition to the other emergency and concierge services OnStar provides. The Malibu comes with a one-year subscription, but after that the owner must pay a fee. Safety is a strong point for the 2008 Chevrolet Malibu; it's earned the top five-star rating in all of the federal government's crash tests, along with top Good ratings from the insurance industry in frontal offset and side tests. Front side thorax airbags and side curtain bags that cover front and rear occupants are standard, plus anti-lock brakes. Electronic stability control is standard on all but the base Malibu LS. The 2008 Chevrolet Malibu appeals to a whole new generation with clean lines and handsome shapes. Reviewers from around the Internet like the styling of the 2008 Chevrolet Malibu, outside and in. One interesting feature of the Malibu is a "trapped" hood fitting. Instead of closing over the grille the way hoods have for the past 60 years or so, the hood fits into an opening, giving the vehicle a look that The Auto Channel describes as a "sleek" and "sophisticated." 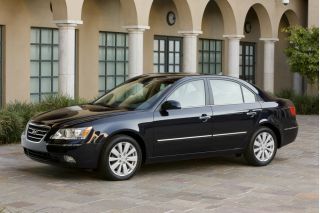 TheCarConnection.com’s team of car experts has spent several weeks with the new Malibu, and we think its very handsome, attractive styling inside and out give the 2008 Chevrolet Malibu a more upscale appearance. The interior trim isn’t quite up to Honda’s gold standard, but with the Chevrolet, 2008’s two-tone interior treatments are truly novel and give buyers a real reason to choose the latest GM family sedan over the more established Japanese titans. The 2008 Chevrolet Malibu has four-cylinder frugality and V-6 thump—but driving passion is largely off the menu. The 2008 Chevrolet Malibu is more responsible than it is fun to drive, but it’s not without its driving pleasure. The more popular engine choice for the 2008 Chevrolet Malibu lineup is the economical 169-hp, 2.4-liter four-cylinder engine, which is rated at a frugal 22 mpg city, 30 mpg highway and comes only with a smooth-shifting four-speed automatic transmission. (A six-speed automatic will be available later this year.) 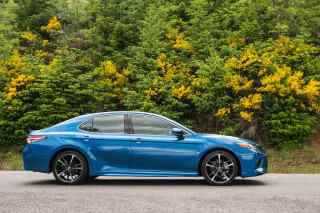 Performance is good enough with the four-cylinder, but if you plan to haul full loads or take on mountain passes, you may be wishing for the 252-hp, 3.5-liter V-6, which is very responsive and much more refined than the V-6 in the previous Malibu. Reviews for the Malibu’s performance are mixed. 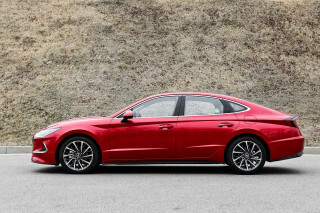 On one hand, the New York Times compares the "eagerness" of both the four-cylinder and the V-6 favorably with the Honda Accord and the Nissan Altima--due to what ConsumerGuide calls "caffeine under the hood." Editors at TheCarConnection.com think the 2008 Chevrolet Malibu has a very smooth, well-controlled ride and handles securely, though without much performance flair. If equipped with the four-cylinder engine, the Malibu has a fuel-saving electric power steering system, but V-6 versions come with hydraulic power steering that gives a bit more road feel. The 2008 Chevrolet Malibu has a well-trimmed cabin, with plenty of room for adults. The 2008 Chevrolet Malibu offers a large, comfortable interior with high-quality materials, a major success for General Motors. GM has taken great pains to make the Malibu quiet and free of vibration, Edmunds adds; measures include specially laminated window glass, acoustic insulation and composite liners for the wheel wells, and a "tighter" firewall to prevent engine noise from being heard in the passenger cabin. Special engine mounts in the Malibu go a long way toward preventing excess vibrations from affecting passenger comfort; while ConsumerGuide notices some bumps in the road, their reviewers acknowledge that the different tires used on the various models may have no small affect on the smoothness of ride. 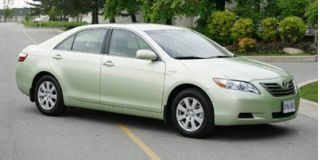 TheCarConnection.com’s editors have observed a range of Malibus, some with the jazzy two-tone interior offered this year. There’s been a sea change at Chevrolet; 2008’s Malibu has a very well-designed cabin, with an attractive instrument panel and materials that are pleasing to the touch. Front seats were among the most comfortable in the mid-size sedan class, and the backseat is quite roomy. The 2008 Chevrolet Malibu is one of the top-rated family sedans when it comes to safety. GM also spares no expense in the safety department when it comes to the 2008 Chevrolet Malibu. Edmunds confirms this, saying that "there isn't a competitor that offers a better allotment of standard safety features." These standard features consist of (among other things) front and rear head curtain side-impact bags, front-seat-mounted thorax bags, and dual-stage front bags; they aren't kidding when they say they "will cover virtually the entire interior." Front side thorax airbags and side curtain bags that cover front and rear occupants are standard, plus anti-lock brakes. Electronic stability control is standard on all but the base Malibu LS. The reviewer at MotherProof.com watched a crash test of a Chevrolet 2008 Malibu at 35 mph and confirms that all six airbags deploy as needed. TheCarConnection.com also notes that this reviewer is the only one to mention the "safety cage," which keeps the passenger compartment from collapsing in such an impact. The 2008 Chevrolet Malibu has been given the top five-star rating in all of the federal government's crash tests, along with top Good ratings from the insurance industry in frontal offset and side tests. According to the National Highway Traffic Safety Administration, the chance of a rollover accident is 10 percent; the overall range for all passenger cars is between 7 and 18 percent. You'll either love or hate the OnStar navigation feature, but the 2008 Chevrolet Malibu has plenty of other gadgets and niceties to please technophiles, unless we’re talking about Bluetooth. 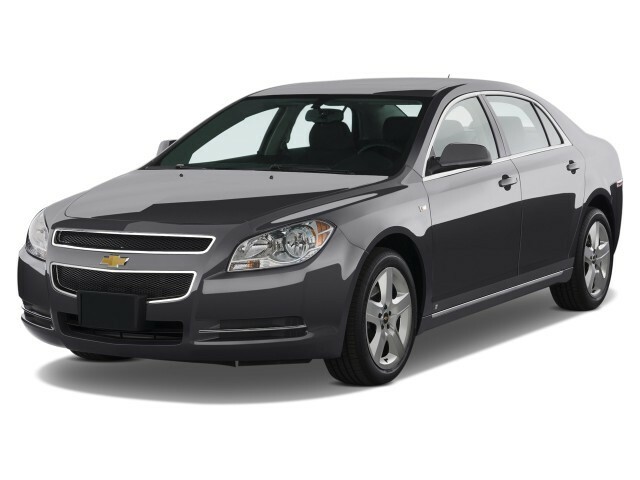 When it comes to features, you'll find more for less with the 2008 Chevrolet Malibu. Fortune has the figures on the Chevrolet; 2008’s Malibu includes XM Satellite Radio and the OnStar navigation and alert system for almost $300 less than the Camry and a whopping $2,300 less than the Honda Accord. 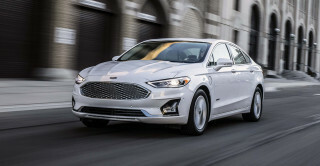 TheCarConnection.com notes that the Malibu should sell for an average of $2,000 less than similarly equipped vehicles in the same class. 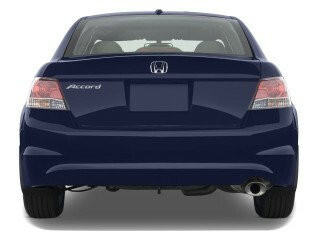 If you order the Premium Audio Package, you'll get a six-CD changer and auxiliary MP3 jack as well. Not all the reviews that TheCarConnection.com read are equally enamored of the OnStar turn-by-turn navigation feature, which is standard on every Malibu. Edmunds believes that GM made a mistake by not offering an actual navigation system. Their drivers report that the OnStar feature would not even function at first; eventually, it did, but the drivers were not impressed with the turn-by-turn navigation, which is a poor substitute for the map-based systems on most of today's vehicles. 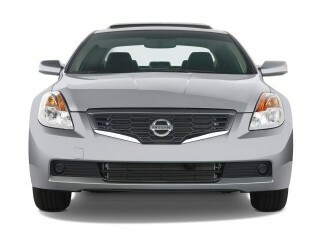 The Malibu includes a one-year subscription, but after that the owner must pay a fee for the service. Three models grace the Malibu lineup at Chevrolet: 2008 brings the base LS, midrange LT, and luxury-laden LTZ. The LS includes power accessories, keyless entry, and steering-wheel-mounted audio controls, while LTZ models get plenty of noteworthy features such as remote start, automatic climate control, a universal remote, and power-adjustable pedals, plus a number of appearance extras like LED taillamps and interior ambient lighting. Bluetooth is not offered. 50,000 third break light would come on and off only while driving and not using the break ( dealer could not find problem WAS TOLD WE MUST HAVE A GHOST IN THE SYSTEM) NOW UNDER RECALL FOR THE SAME PROBLEM BUT TOLD BY OUR LOCAL DEALER DUE TO THE MILAGE ON CAR NOT A RECALL ISSUE BUT A MAINTANCE ISSUE! !